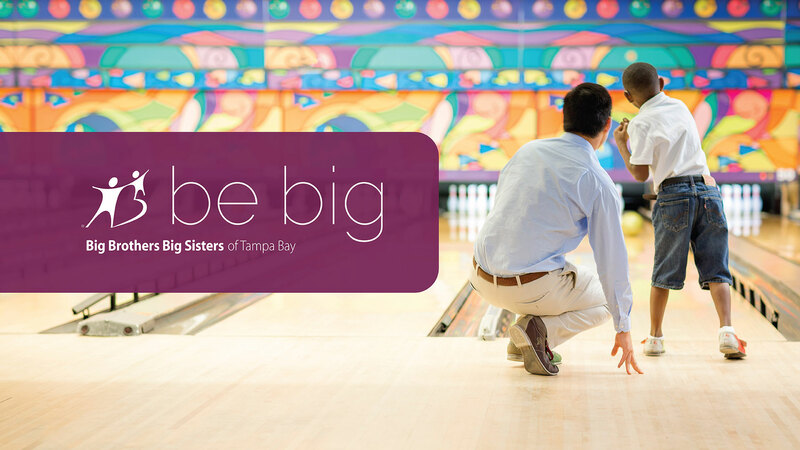 BBBS of Tampa Bay is a leading non-profit that offers an opportunity to connect mentors with children in need of support. 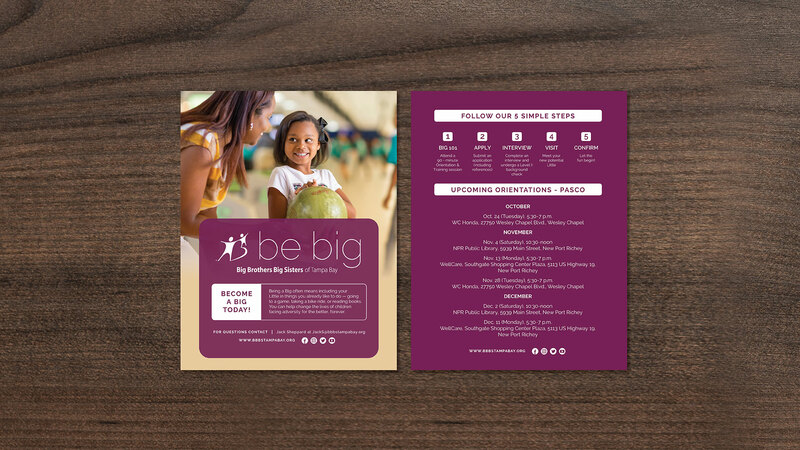 Within a crowded market, dominated by big and small volunteer options, the brand needed a distinct market position and clear brand strategy among similarly situated non-profits to ensure success. 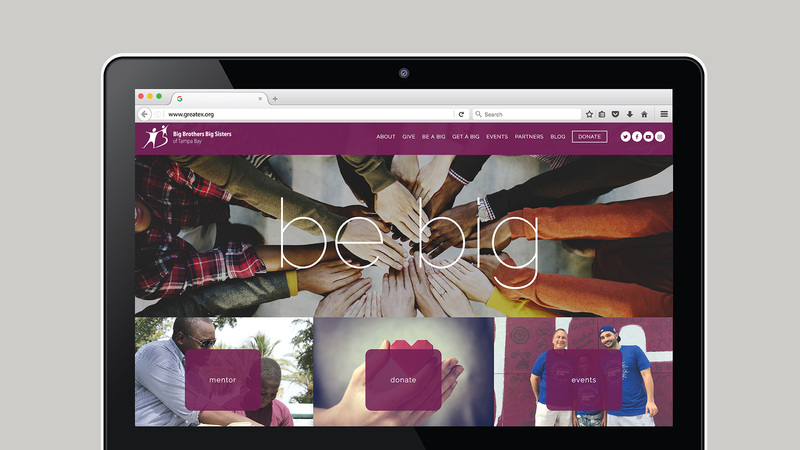 The result captured was a redefined user web experience and refreshed brand identity. 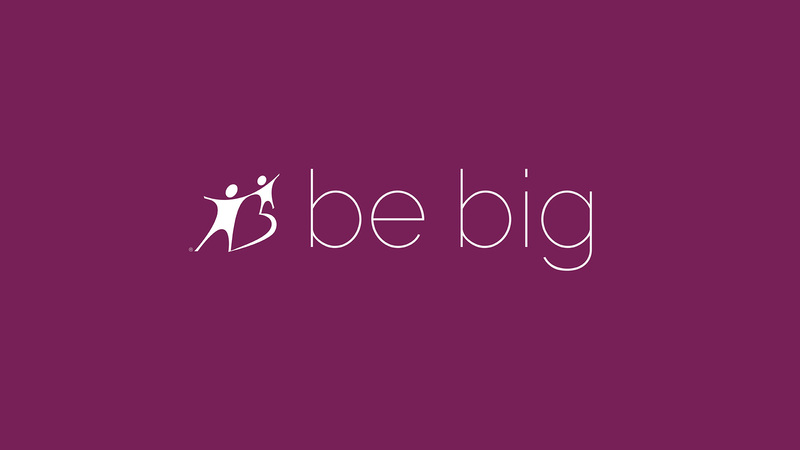 We also partnered with the Shine Mural Festival to reveal the new tagline, capturing the essence of what it means to be a mentor, and how those can BE Big for your community. Business Strategy, Competitive Analysis, Consumer Interviews, Brand Strategy (Proposition & Positioning, Tone of Voice) Tagline, Website, Internal Branding (Business cards, Signage, Social media), Brand Book, Collateral Materials.